South Telecom circles Andhrapradesh, Telangana, Tamilandu, Karnataka and Kerala launched new 2 Years validity FREEDOM Prepaid mobile plan under GSM mobile services. State run Telecom Company Bharat Sanchar Nigam Limited (BSNL) has announced the launch of new promotional prepaid mobile plan which is offering Free data usage and reduced tariff voice calls for a period of 90 days from 19th October, 2016 onwards. As per latest information, BSNL competent authority has decided to offer this special prepaid plan for new MNP (Mobile Number Portability) and existing BSNL customers across south zone circles. New Freedom plan offers 1GB free 3G data usage for first 30 days which comes with 2 years validity and free data with special combo vouchers. 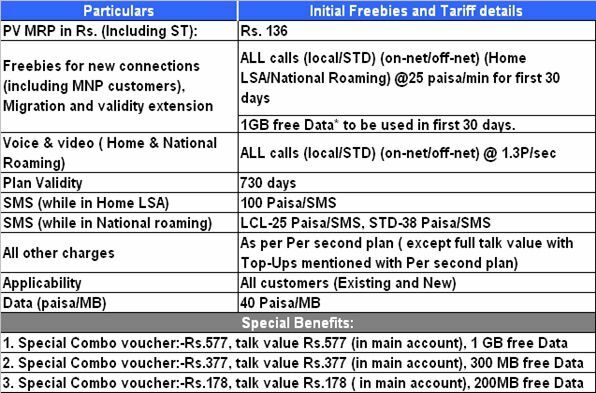 In addition the freedom special plan gives affordable tariff to make voice calls @ 25 paisa per minute and data usage @40 paisa per MB after consumption of initial freebies. Free data usage 1GB available on recharge of plan vouches of Rs.136 for New/MNP/Port-in customers only and is not applicable to migration and validity extension existing customers. 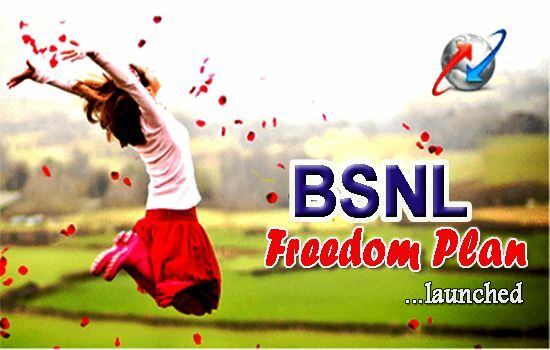 Prepaid user can recharge Freedom plan voucher (First Recharge coupon) Rs.136/- through Easy recharge or through BSNL self-care portal www.bsnlszprepaid.com or by sending SMS to 123 as – PLAN(space)FREEDOM from mobile phone. Full Talk Value and Free data through Combo STVs of Rs.176, Rs.377 and Rs.577. The above Prepaid Freedom plan will be implemented with effect from 19th October, 2016 and available upto 16th January, 2017 as promotional basis for a period of 90 days across South zone telecom circles. Note: The date of implementation may vary in each telecom circle.